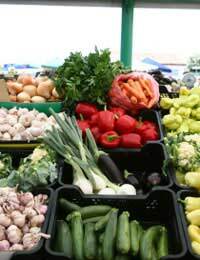 Food irradiation has been a long-standing area of debate in Britain and around the world. With what seems like a new food contamination or microbe crisis each month, some have called for all of our food to essentially be 'zapped' with radiation to wipe out any bacteria or viruses, although it's not quite as effective on viruses. But, what does it do to DNA? Irradiation has been used most recently in lettuce and spinach after an E.coli outbreak was linked to spinach a couple of years ago. Also, for the last several decades, irradiation has been regularly used to improve shelf life in spices and some other foods. Still, irradiation isn't a common procedure for treating the vast majority of foods we consume. This is due, in part, to the costs of irradiation as well as concerns raised by consumers. Along with all that is that questions have been raised about the long-term safety and effects of irradiation. What Exactly is Food Irradiation? Food irradiation is performed when food or bacteria are exposed to ionising radiation. Here is where the DNA question is answered to some extent. This radiation disrupts DNA in the bacteria that can trigger illness in humans. So, in that light, this DNA disruption is considered beneficial to human health. While foods typically don't taste any different when irradiated, they do lose some nutritional value. Vitamins C, B and a number of others are lost to some degree. At a very basic level, irradiation has a destructive effect on the DNA of microbes. This stops them from multiplying as it destroys their cell membranes and DNA. In bacteria, this DNA is an essential part of reproduction, so destroying the DNA will wipe out the bacteria. When this radiation energy hits the DNA, the single or double-strand shatters and the DNA is damaged beyond repair. In turn, the cell is killed off and the food is considered safer to consume. While the DNA damage to bacterial cells is not thought to trigger any kind of DNA damage to humans who consume irradiated foods, there are still other concerns about irradiation. Unfortunately, poor consumer awareness and understanding have only compounded the problem as well. Due to the word itself, people sometimes picture their food being radioactive, which is not the case! Still, there have been conflicting studies, some suggesting that there are mutagenic compounds resulting from irradiated meats. There are worries about free radicals and other potentially harmful products of food irradiation. Other studies, however, have shown that irradiation doesn't result in any mutagenic compounds and is therefore safe. Key international bodies such as the World Health Organisation (WHO) have deemed the technology to be a safe one. Ideally though, we should have long-term studies and data to ensure irradiation does what it is meant to – damages the DNA of bacteria while making food much safer and better for humans without harming us in the process.